Less than a day after the United Nations Security Council tried to establish a 30-day ceasefire in Syria, it has already become clear the fighting will continue unabated, except perhaps for places which already have achieved relative calm. The most dangerous development over the last week has been a sudden move by the Iranian-Russian backed pro-Assad coalition which intervened in the conflict between Turkey and the Kurds in Afrin, the most northern autonomous enclave in Syrian Kurdistan. After Erdogan’s Sunni Islamist forces slowly advanced in the Kurdish region along the Syrian Turkish border and the West, including the United States, remained passive in light of this open aggression against the Syrian Kurds, Assad’s, or should we say Iran’s, forces did something almost no one expected. Local media reported hundreds of Shiite fighters belonging to the Syrian army had entered Afrin to “protect” the borders of Syria. The entrance of 'Assad’s forces' was reportedly the result of a deal between the Kurdish YPG militia in Afrin and the regime in Damascus and could be the beginning of the major escalation in Syria I wrote about less than two weeks ago. 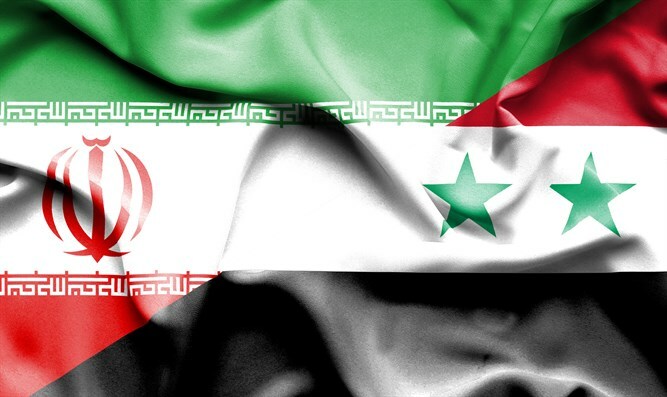 The man behind the sudden move of the pro-Assad coalition was the commander of the Quds Force of the Iranian Revolutionary Guards Corps, Qassem Soleimani, according to the Turkish outlet Yenisafak. Soleimani reportedly sent a large convoy with Shiite fighters into Afrin last Tuesday while the Turkish air force tried to prevent the force’s entry to the city of Afrin by using drone attacks and artillery fire, the commander of the local Sunni Islamist militia Abu Amara told Yenisafak. “Pro-Assad Shia groups such as Al-Nujabaa, Liwaa al-Quds and Liwaa Mohammad Baqir, are part of the Shiite force in Afrin,” according to Muhanna Jafala, the Abu Amara Brigade commander. The offensive by the Shiite forces in Afrin will most likely pit the Syrian army against NATO member Turkey and must be seen as a reaction to the forming of a new Turkey-backed coalition of Sunni Islamist rebel groups in northern Idlib. The new-formed Hayat Tahrir Suriyah coalition is the result of a merger of the Sunni Islamist rebel groups Ahrar al-Sham, Nour al-Din Zinki and other Al Qaeda’ inspired militias who have fought the Assad regime from the beginning of the civil war in the now ruined country. Russia reportedly sided with Turkey in its opposition to the deployment of ‘Assad’s’ troops in Afrin and tried to delay the offensive, after which Iran’s top commander intervened and sent in a Shiite-only force Reuters reported. The hot-headed Turkish leader said he suspected a plot “to sever us from our sisters and brothers by forming a terror corridor along our borders (with Syria), but didn’t elaborate. He was referring to Ankara-backed Sunni Islamists in the northern Syrian province Idlib which borders on Afrin and which has been the scene of fierce fighting between them and Assad’s forces recently. Erdogan later announced he was contemplating mobilizing Turkey’s reserves, a remark which caused the collapse of an e-platform of the Turkish Defense Ministry when thousands of Turks tried to discover if they were among those being called-up for reserve duty. During his speech in Kahramanmara in south-eastern Turkey the Turkish dictator again hinted about the resurrection of the Ottoman empire and the expansion of Turkey’s territory. “We are on the eve of a new resurrection,” Erdogan said in Kahramanmara, another indication that he is serious about his determination to make Turkey "great again." Turkish, Iranian and Armenian media earlier made clear what the Turkish leader meant by “resurrection”. His comments this weekend followed an even more blunt admission that he thinks Turkey, under his rule, will establish a new Islamist empire. During a ceremony in honor of the centenary of the death of radical pan-Islamist Sultan Abdulhamid II who ruled the Ottoman Empire from 1876 until 1909, Erdogan said that today’s Turkey is a “continuation” of the Ottoman Empire. During the same speech Erdogan promised to give U.S. President Donald Trump an “Ottoman slap in the face,” over his continuing support for the Syrian Kurds. Turkey’s relations with NATO partner Greece, however, are deteriorating quickly over Erdogan’s Ottoman complex. After several incidents whereby Turkish fighter jets and navy vessels breached Greece airspace and territorial waters over a dispute about Aegean islands which were once part of the Ottoman Empire, Erdogan appears to be claiming the sea east of Cyprus as Turkey’s territorial waters. Last week, Turkish warships tried to prevent Cyprus from drilling for gas in the territorial waters east of the islands by threatening force, a move which was motivated by Erdogan’s false claim that the Turkish occupation of east Cyprus is perfectly legal under international law. It seems this is not enough to deter Erdogan, who no longer hides his Islamist tendencies and hegemonic agenda for Turkey and even praised child martyrdom during the speech to supporters of his AKP party in Kahramanmara . Standing next to a six-year-old child in military uniform Erdogan said the girl was given a Turkish flag which would be used to cover her body once martyred. “Mashallah. She has a flag too in her pocket. If she becomes a martyr, inshallah (God willing) they will lay the flag (on her),” the Turkish leader said while touching the girl’s head.